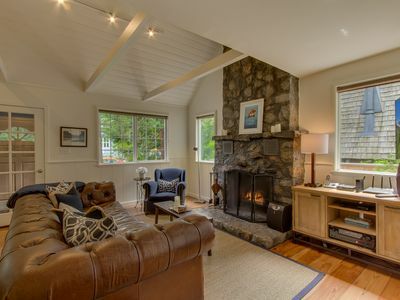 At the very end of a quiet road, you will find this wonderful river front retreat. 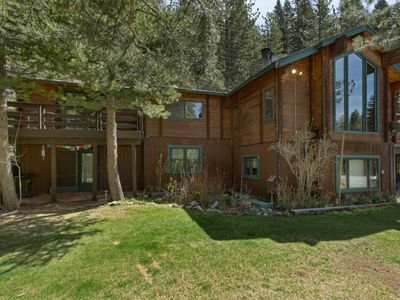 The property has an incredible outdoor space with a river view, hot tub, two decks and a two level garden that all face the Truckee River. Quiet, peaceful. In nature. 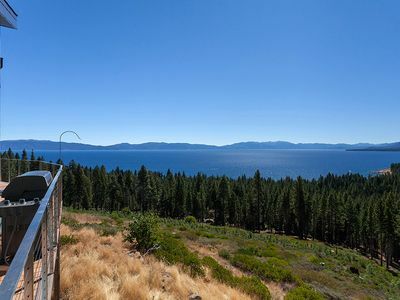 There are hiking trails along the river that lead to a trail going up to the Tahoe Rim Trail. 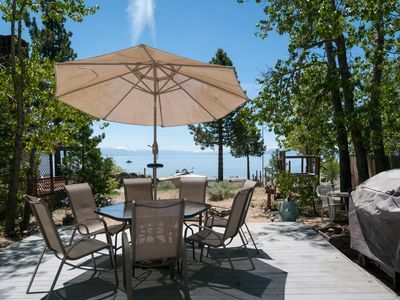 The house is close to the bike path that follows the river to Tahoe City and beyond. 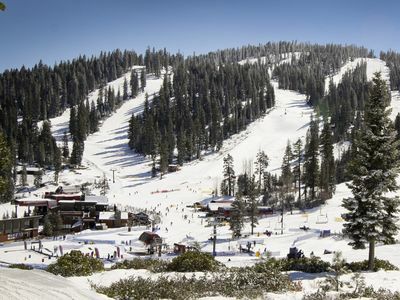 We are located at the entrance to Squaw Valley (the ski resort) and directly on the river. 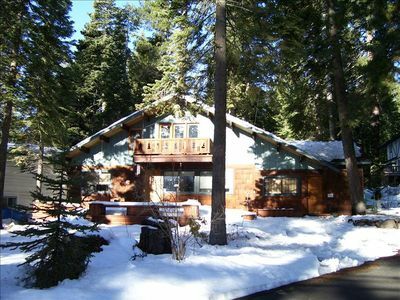 It is 7 miles south of Truckee and 5 miles from Tahoe City (and Lake Tahoe). 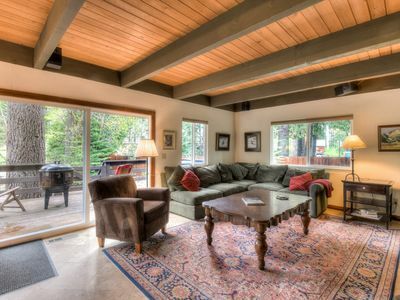 Relax in the great room with soaring ceilings, a gas burning stove and huge windows with a stunning river view. The great room has a sofa bed. 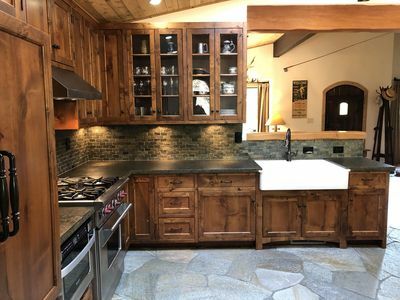 This large 2,000 sq foot log cabin has a kitchen with a dining area that seats 8 and 4 more at the breakfast bar. 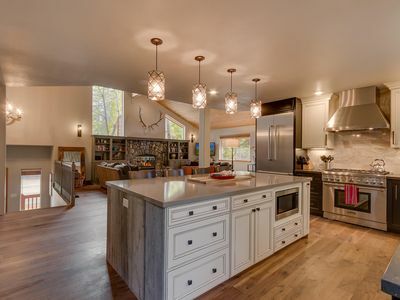 The well equipped kitchen has a large gas range and dishwasher. There is a washer/dryer and an iron. 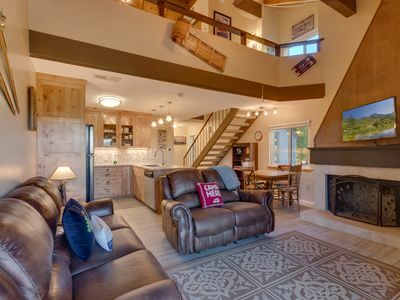 There are four bedrooms and three full baths. 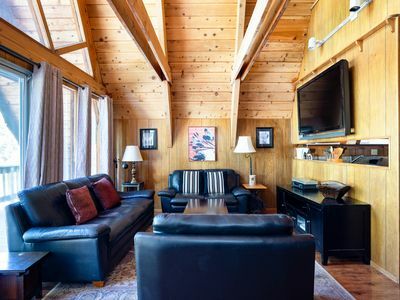 The master suite has a queen sized bed, a double futon couch, private deck with views of the river and full bath with a shower. The second bedroom has a queen bed and lovely views of the grounds and river. The third bedroom has a double bunk with a single on top and a pull-out trundle below (sleeps 4 total). The guest bath is a full bath with bath tub. A third bathroom has a glass block shower, sink and toilet. The fourth bedroom has a daybed with a pull-out trundle. This room has 3 doors and can be opened up. In the living room are two huge couches, one is a queen sofa sleeper and the other will comfortably sleep a single person. 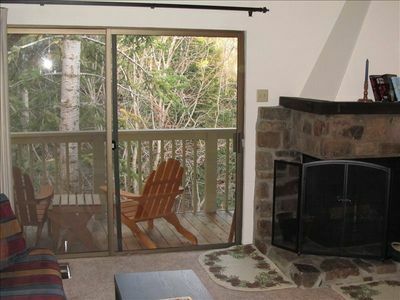 The hot tub is nestled in fir trees and can be accessed through either deck. Lounging on the lower lawn, right at the river is magical. The main deck has patio furniture for dining alfresco and views of the river. 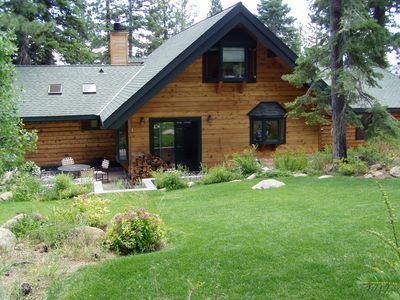 The main cabin is all one level on the second floor of the house. There is an in-law unit on the lower level with a quiet female caretaker who is very nice and will stay out of your way. 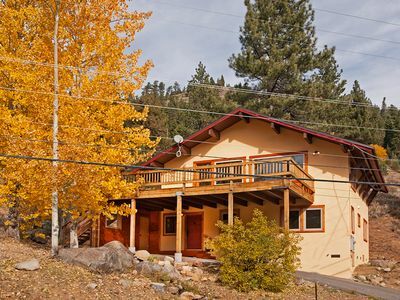 Guests have access to the entire house, 2 decks, laundry, hot tub and the upper and lower lawns down to the river. There is plenty of parking. There is no access to the garage. I am available by phone, text and email for any assistance. The downstairs tenant is available as well. 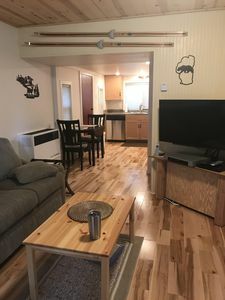 There is an older single full-time tenant in a separate unit below the house. She usually stays out of the way but can help out as needed. You are guests in this home. Please enjoy it and treat it with the same care and respect that you would your own home. The number of individuals in the home is not to exceed the number of guests listed on your reservation, or the maximum occupancy of the home, at any time. Smoking is strictly prohibited anywhere on the property. This a family residential neighborhood that does not have tolerance for loud parties. While the house is cleaned to hotel standards when you arrive, at the end of the day this is not a hotel. Please don't expect that standard of service. Occasionally things break, contractors need to visit the house and can be on-premises. Please don't take home any of the supplied amenities (like toothpaste and toilet paper). -Weekends require booking both Friday and Saturday nights. 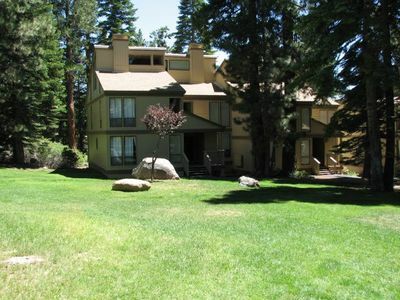 -A 10% Placer County occupancy tax is included in the nightly rates. -Dogs are allowed but are an additional $10 cleaning fee per dog. -Additional guests (incuding infants) over 10 incur an extra $20/per person per night. -The rental is non-refundable unless the road is closed. -There is some road noise from Hwy. 89 across the river. Quiet, peaceful. In nature. There are hiking trails along the river that lead to a trail going up to the Tahoe Rim Trail. 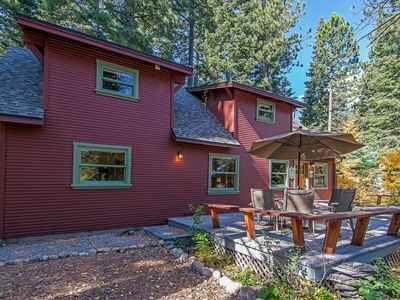 The house is close to the bike path that follows the river to Tahoe City and beyond. 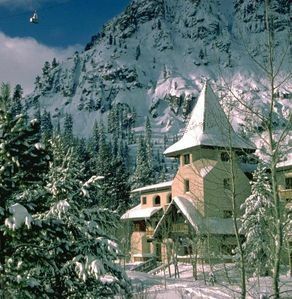 We are located at the entrance to Squaw Valley (the ski resort) directly on the river. 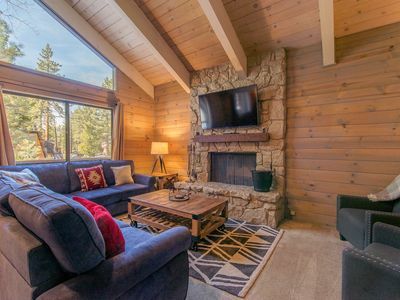 It is 7 miles south of Truckee and 5 miles from Tahoe City (and Lake Tahoe). There is plenty of parking. the Tahoe bus system "TART" is close by. 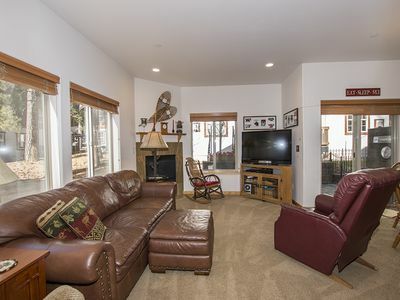 Walk To The Beach/Sunnyside From This Newly Renovated Tahoe Park Home w/ Spa! 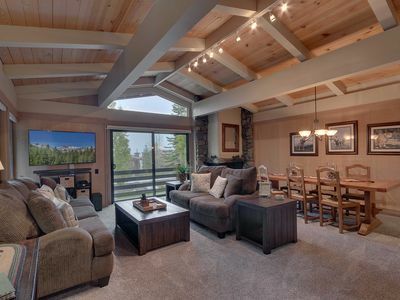 Exquisite Lake Views from Newly Built 4br, High-End Home with Tahoe Park HOA Beach Access!